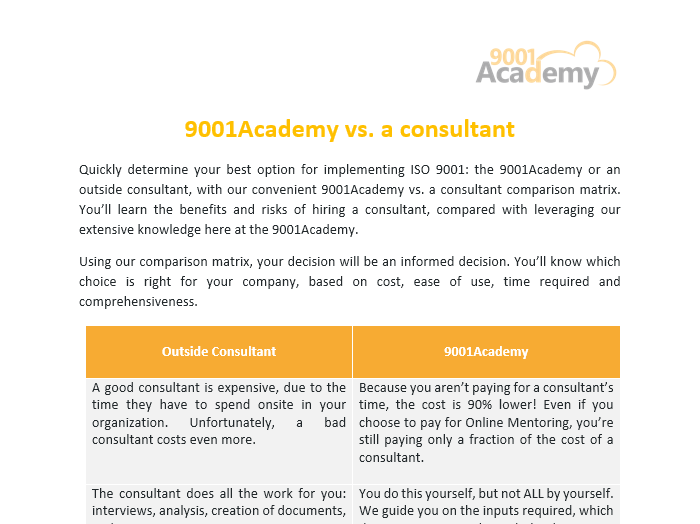 Quickly determine your best option for implementing ISO 9001: the 9001Academy or an outside consultant, with our convenient 9001Academy vs. a consultant comparison matrix. 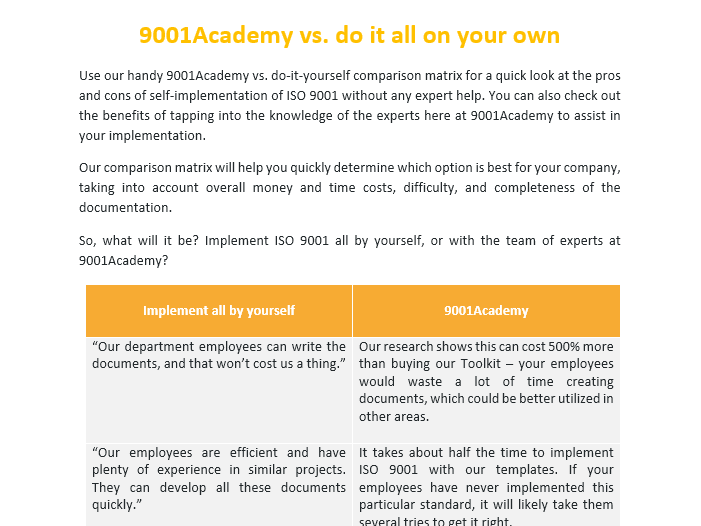 Use our handy 9001Academy vs. do-it-yourself comparison matrix for a quick look at the pros and cons of self-implementation of ISO 9001 without any expert help. Use our simple comparison matrix to decide if it’s worth the risk to try to implement ISO 9001 on your own, using various online sources for your document templates. Here’s the good news: several options are available for your ISO 9001 implementation – you can find a consultant, you can try it yourself, or you can do it yourself with support from our industry experts. The bad news? It can be really hard to choose the best solution for you. Our resident ISO 9001 consultants are available to speak with you regarding the steps your company should take next. We understand that sometimes things get confusing, and you need advice you can trust.